You are ready for the holidays ! You just need your essential summer accessory: the swimsuit. This year, you want an understated, glamorous design. What about a brown bikini? The brown has the advantage of complimenting all complexions: stunning on bronzed skin, it also goes well with fair tones, creating a flattering contrast, subtler than black. 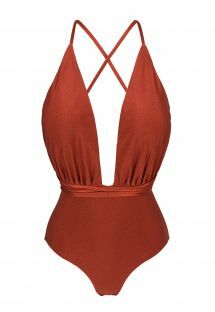 Choose your brown swimwear from a selection of chestnut two-pieces, with simple, solid colour or embellished with accessories, jewels and patterns. 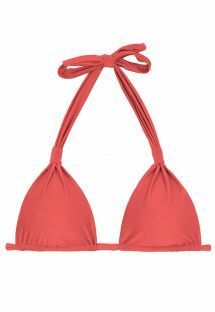 On fair skin as well as bronzed, a chestnut Brazilian bikini will accentuate your curves with elegance. Solid or printed, it remains an impeccable choice in our wardrobes.